How do I access tutorials? Please go to the top left corner where says “FAQ” as in the capture below. How to import / sync product and collection? How do I import products without a Shopify store? • If you want to overwrite all the products that are already in your account with the products on the CSV that you are uploading, check “Overwrite existing products that have the same handle. How can I create large catalog automatically on the fly? How do I create a catalog by manually selecting products? 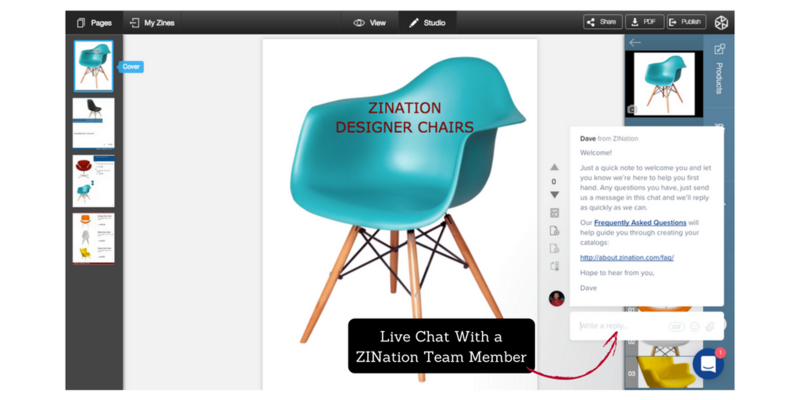 How do I get support quickly from a ZINation team member? Live support is available through the chat at the bottom right corner of your screen Monday to Friday 9am-5pm EST. 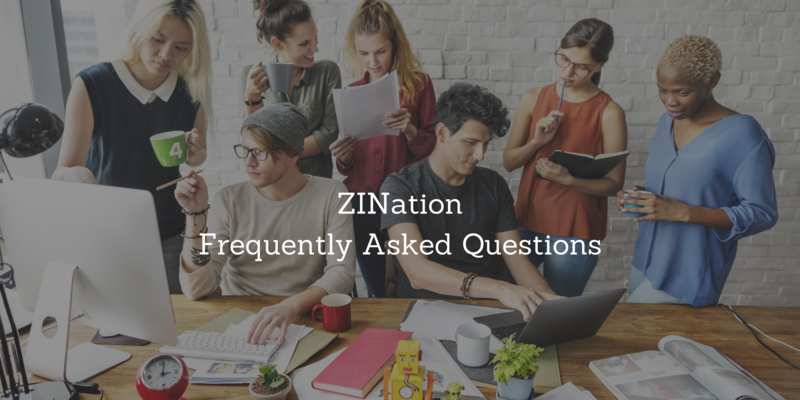 Just write your question as a reply to any message or any team member, and we will get back to you as quickly as possible. Otherwise, you can also email us at support@zination.com for further enqueries. Can I use ZINation without a Shopify or Magento store? What are the dimensions of a the page? You may also use custom dimensions and create your own layout by clicking on ” custom dimensions ” at the top right corner as well. How do I add products to my catalog? 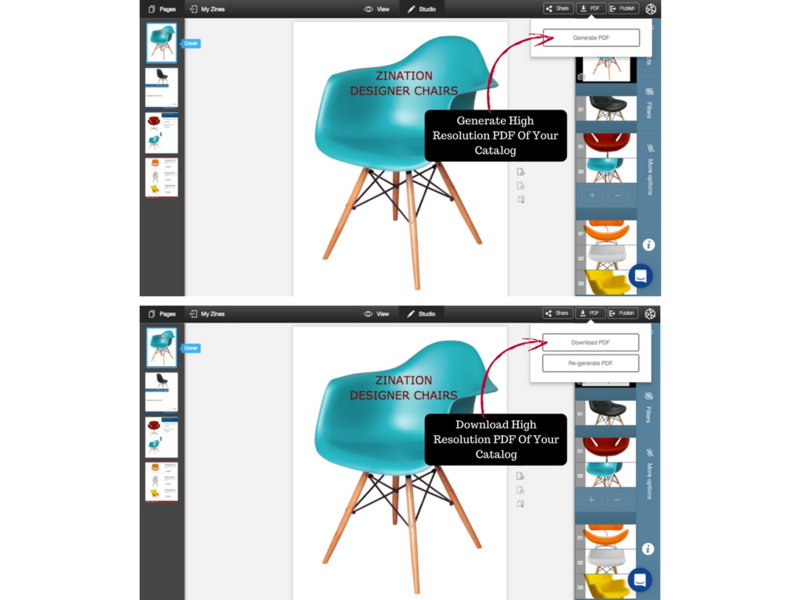 How do I add/create new product or edit product info / add variants to existing product in the app? How do I delete product or text in the page? How do I find a product image or element that I’ve dragged off my catalog page? How do I remove, replace or move a product in my catalog? How do I move a catalog page to a different spot in my catalog? How do I show variants in the catalog? How do I rename the catalog? How do I hide description? Please note that “Hide Description” will only hide the format of description from the online store instead of the description itself. How do I change the Layout of my catalog pages? How do I create a Custom Layout and apply it to other pages? How do I create a custom page layout using Product Layout? Add a blank page by clicking on the second icon on the right side next to the page. Then go to Elements on the right sidebar and open Product Layout. Select the one you like and click on it, one product box will be added to the page for each click. After that, you can re-size and re-position each product box and customize font size to make the page look exactly the same as you want. Finally, save it as a custom layout. 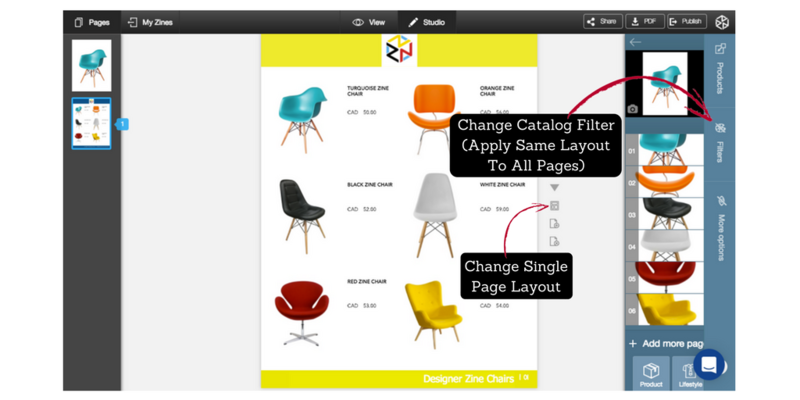 Then you can apply it to existing catalog or create a new catalog using that template. How do I change the color of elements in my catalog? How do I create a back cover page for my catalog? How do I include an Order Form in the PDF catalog? Please note the order form is only shown in PDF. If you’d like to use your own form or show it in online version, please add a blank page in the catalog and use Elements –> Text to copy & paste the form in the new page. How do I create a cover page for my catalog? How do I show Barcode in my catalog? In studio, More Option –> Zine Page –> Product Bar Code –> Show –> Apply. How do I hide prices in my catalog? How do I show both retail and wholesale prices in the catalog? Please select the templates that support two prices, or you can create your custom page template using Product Layout through Elements. How do I use custom pricing (bulk discount) for wholesale? IMPORTANT: If you are using an App for your Shopify store that offer Bulk and Automated Price Changes, there is an action you must take in your ZINation App to prevent all your customers from seeing your Wholesale prices. How do I use custom pricing (price list) for wholesale? Please note it’s better to use Microsoft Office to edit the file. How do I use custom pricing (individual item) for wholesale? How do customers add products to cart in large quantities? In the Add to Cart page, customers can add product by clicking on “+” button or type the quantity they want in the middle box. How do I set quantity of minimum order? How do I show inventory? After that, you can switch to View Mode to see the inventory. Please note the inventory will shown when customer select a product to add to cart. Please note: the inventory will change when the order is confirmed/paid/fulfilled. How do I convert currency to multi-currencies? How do I download a high resolution PDF of my catalog? How do I delete cover page? • Please click on Catalog Panel –> LIVE CATALOG –> Show Cover Page –> Disable. How do I give access to my sales reps? First please publish your catalog. 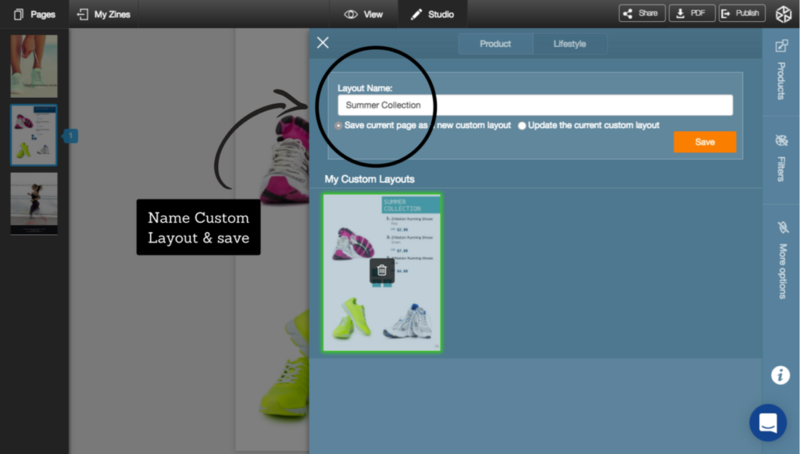 Then open your ZINation store front at the left side navigation bar and share the URL with your sales reps. They can view, share, and download the catalog, or order directly inside the catalog. What browser brings better user experience? We suggest Google Chrome for you because other browsers might cause error when you create and edit the catalog. How do I view my catalog? How do I change the way my catalog is viewed (vertical or horizontal)? 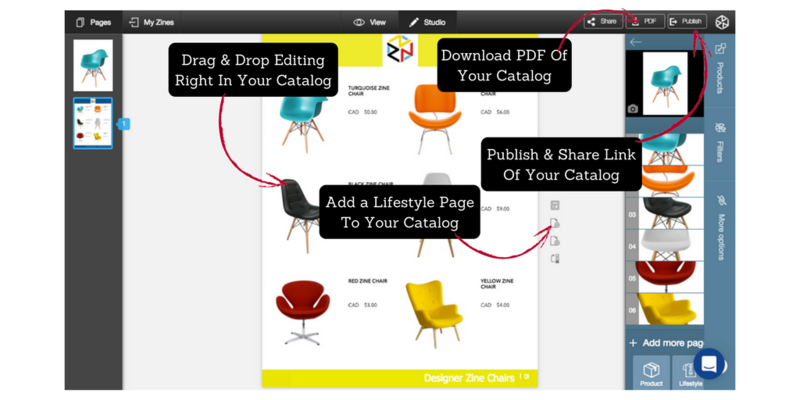 How do I publish & share my catalog? How do I duplicate my catalog? How do I edit a catalog once it’s published? 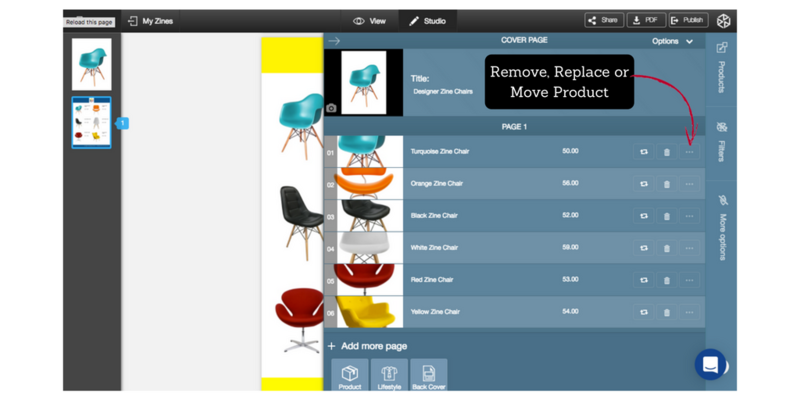 Studio is where you create and edit catalogs. 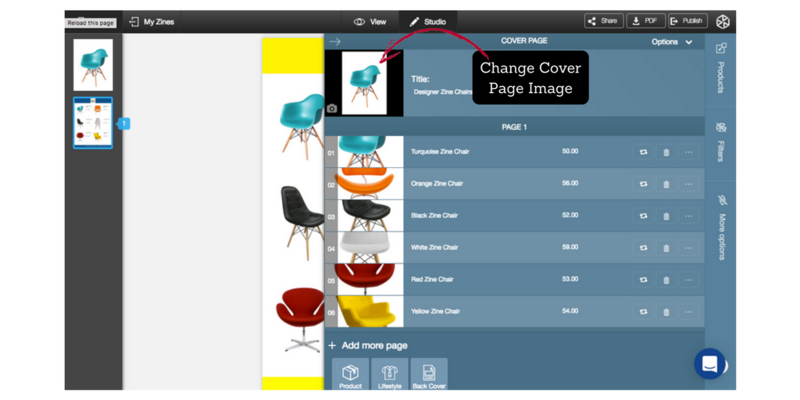 When you begin creating a catalog or open a catalog by the edit icon, you are brought to your Studio. How do I edit a product in my PIM (Product Information Management)? How do I switch between my different ZINation Apps? How do I embed a catalog into my website? What quality will the PDF of my catalog be? How many pages can I put in a catalog? How to get catalogs into my Storefront (Public)? How do I brand my Storefront & catalogs? How do I create a LookBook? 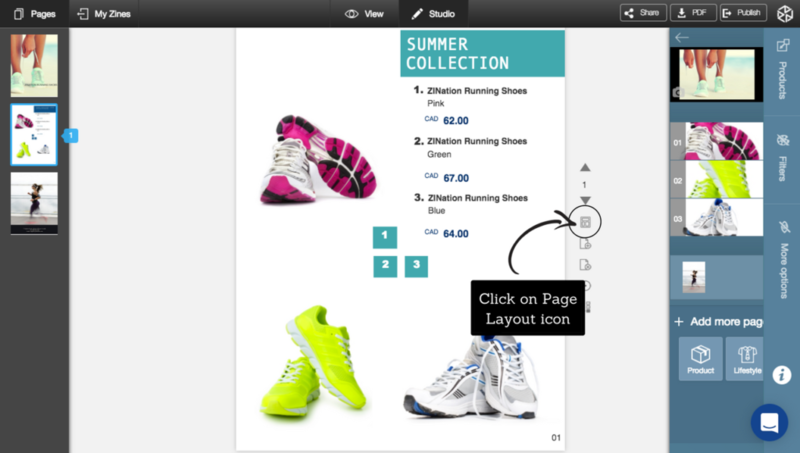 To create a LookBook you require the Easy LookBook Creator App from ZINation. How do I tag a LookBook with a product? How do I see my subscription with ZINation?